And now I've found my solution!! Hooray! One of my biggest concern is the price, by the time of my my writing of this post , the devices i found cost more than $300. Asus wicast is priced at $199 , thats $100 cheaper already (and its worth it cause you can hook it up to any HDMI enabled devices. Its not attached to one device only. ), i can spend that money by adding it up to upgrade some of my appliances. Next, usage of 2.4ghz frequency. Good thing Asus WiCast uses 5ghz + frequency so there's no problem interfering with my wireless telephony system and other wireless devices. WiCast supports latency free (less than 1ms) transmission, providing users with fluid and stutter-free playback of HD content. Low latency prevents “lip-sync” issues and enables smooth delivery of HD content. It can transmit signals up to 33 feet which is more than enough for us considering that we don't have that much large area on our house, plus , quality is not degraded between room. To summarize it, Asus wicast is what i've been looking for. It looks promising BUT I have yet to test this or saw in my own eyes the performance of this device on real world scenarios before I recommened this to everyone. Here is a demo we found from youtube, brought to you by Asus and Amimon. Weight: Transmitter: 0.242 lbs., receiver: 0.352 lbs. 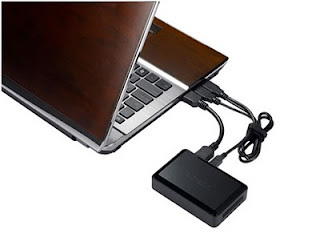 Here's another awesome way to stream those HD videos from your laptop on to your HDTV. If you're looking for an alternative though, I suggest trying out the Netgear Push2TV product. This device makes use of the HDMI port on the HDTV and acts as a wireless adapter, displaying what you see on your laptop on to your HDTV. So instead of connecting the laptop via an HDMI cable, the Netgear Push2TV takes its place, and wirelessly streams the contents of your laptop even if they're in separate rooms in the house. 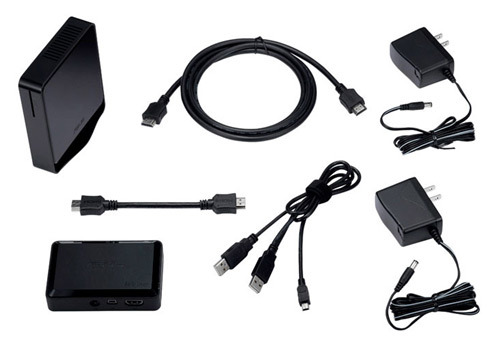 To know more about Netgear's Push2TV product, just check it out here, http://bit.ly/bByST7. I'm sure you'll love it too.